Jonathan is a native of Ranger, Georgia. He graduated from Reinhardt University in 2005 earning a Bachelor's degree in Liberal Studies, with a concentration in History. He then attended Kennesaw State University earning a Bachelor's degree in Political Science. He received his Juris Doctor from the Thomas Goode Jones School of Law at Faulkner University in 2013. While at Faulkner University, he received certified mediation training and was a member of the Academic Fellowship, mentoring first year law students. Jonathan joined the firm in 2014 and is now a Senior Associate. 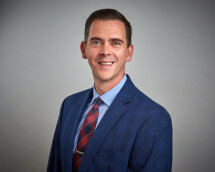 His primary practice areas include general corporate counsel, business formation, contracts, land use and zoning, real estate law, HOA representation, liens, commercial closings, as well as drafting wills and other estate documents. Jonathan lives in Forsyth County, with his wife, Kaylen, and daughter, Caroline.